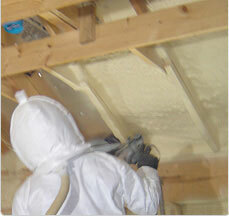 Adding attic insulation to your Atlanta area home is a smart way to save money on your monthly energy bills. As your attic insulation ages it can settle, shift or simply become damaged, making it less effective. At Arango Insulation, we’re experts at installing, replacing and retrofitting insulation in this crucial area of the home, and have the high-quality products your project will need. Our products can be counted on to last, since they come from many of the most trusted names in the business, including Green Fiber, Johns Manville, and Guardian. In addition to the manufacturers’ warranties, Arango provides a 1-year labor warranty on our work to ensure your investment is fully protected. Whether you need blown fiberglass retrofit insulation at your home in Johns Creek or replacement batts at your cabin in Woodstock, our staff can ensure your job is quickly and properly completed. For more information on adding attic insulation in Atlanta, Roswell, Kennesaw, Dunwoody, Buckhead, Newnan, Decatur and other metro area communities, contact Arango Insulation today.